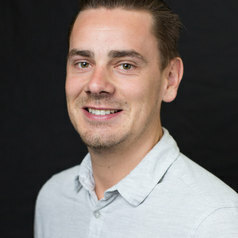 Dylan Pickering is a PhD candidate (3rd year) at the Gambling Treatment and Research Clinic at the University of Sydney in Australia, directed by Professor Alex Blaszczynski. Dylan has a first class honours degree in psychology and was awarded the Australian Psychological Society (APS) prize in 2013 for being the highest ranked student in his cohort. He was a key a contributor to a major government report (unpublished) on gambling-related harms, and has published peer-reviewed articles in the Current Addictions Reports journal and the Asian Journal of Gambling Studies and Public Health. Supported by a philanthropic grant from ClubsNSW (Industry), Dylan is conducting research to evaluate the effectiveness of a multi-venue self-exclusion program. He presented the initial retrospective findings from this research at the International Conference on Gambling and Risk Taking in Las Vegas (June 2016). In November (2016), Dylan outlined a proposal to introduce web-based self-enrolment protocols into self-exclusion systems for land-based gambling venues at the National Association for Gambling Studies conference (Cairns, Australia).